This new 2019 Toyota Yaris Sedan in CLARKSDALE, MISSISSIPPI offers drivers advanced safety features. Obtain this vehicle for the price of $19,168. With only 9 miles on it, its still ready to explore more open roads. Its a v4 Graphite car that makes commuting to and from work a little less stressful. Want to learn more about this 2019 Toyota Yaris Sedan? 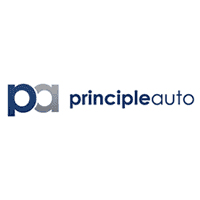 Contact Principle Toyota. The search for the perfect car ends at the 2020 Toyota Corolla in , . How much does the 2020 Toyota Corolla cost? $27,777 With only 9 miles on it, its still ready to explore more open roads. Its a v4 Celestite Gray car that makes commuting to and from work a little less stressful. Interested in this car? Visit Principle Toyota to schedule a time to test drive the 2020 Toyota Corolla. Color outside the lines with the 2019 Toyota C-HR. Distinctive style meets rebellious spirit with a precision-cut design that shines from every angle. Unique, vortex-shaped 18in sport alloy wheels emphasize the C-HR's powerful stance, while standard cluster LED daytime running lights with halogen headlights light up the road ahead. It's easy to take in the sights when you're in the sport-inspired driver's seat. A tall seating position and wide windshield work together to give you a clear view of what's ahead. The interior features available leather-trimmed seats and steering wheel, standard satin-plated shift knob, standard dual-zone climate control available and heated front seats. The rear hatch also opens up to reveal a large cargo space, plus with its standard 60/40 split rear seats, you can carry even more. Powering the C-HR is a lively 2.0-liter inline 4-cylinder dynamic force engine with advanced Valvematic technology. Transforming this car's horsepower into forward motion is an advanced continuously variable transmission with intelligence and shift modes. The C-HR connects you to more than just the road, with technology features including standard 8in audio touchscreen display, Apple CarPlay and Android Auto compatibility, Entune 3.0 app access, standard 4.2in color multi-information display, available auto-folding outside mirrors, available smart key system with push button start and available C-HR puddle lights. You'll also find a comprehensive suite of safety features such as available blind spot monitor and rear cross-traffic alert and integrated backup camera. This new 2019 Toyota Corolla Hatchback in CLARKSDALE, MISSISSIPPI offers drivers advanced safety features. How much does the 2019 Toyota Corolla Hatchback cost? $22,787 With only 5 miles on it, the 2019 Toyota Corolla Hatchback has plenty of life left in the tank. Its a v4 Classic Silver car that is easy on the eyes and easy to drive. Drive to Principle Toyota and test drive the 2019 Toyota Corolla Hatchback.